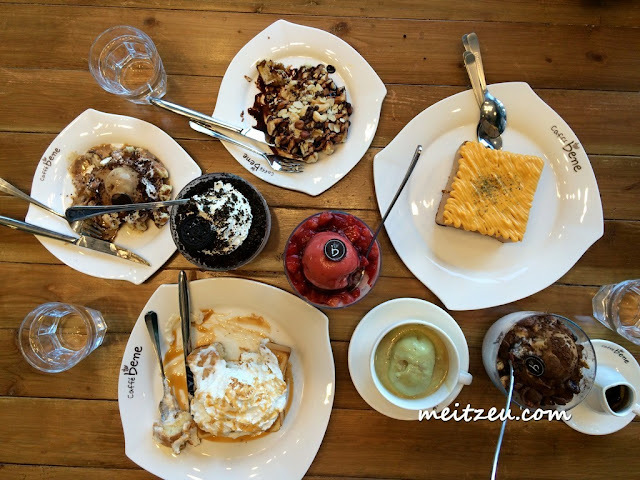 It was a fine weekend when we went for Korean desserts. 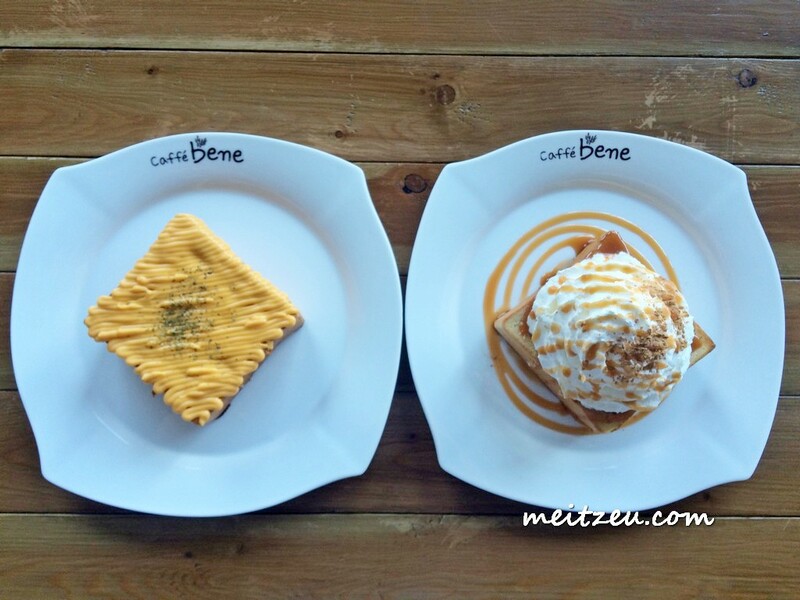 Good to know that there are so many new concept cafes here in Kota Kinabalu lately. 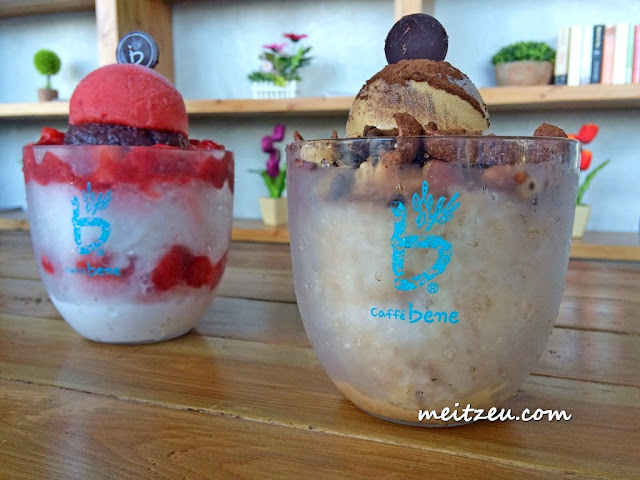 Caffe Bene located at Imago Mall KK Times Square is the first East Malaysia outlet, mainly serving Korean Bingsu (Ice Blended with savory ingredients), coffees, gelato, breads and waffles! 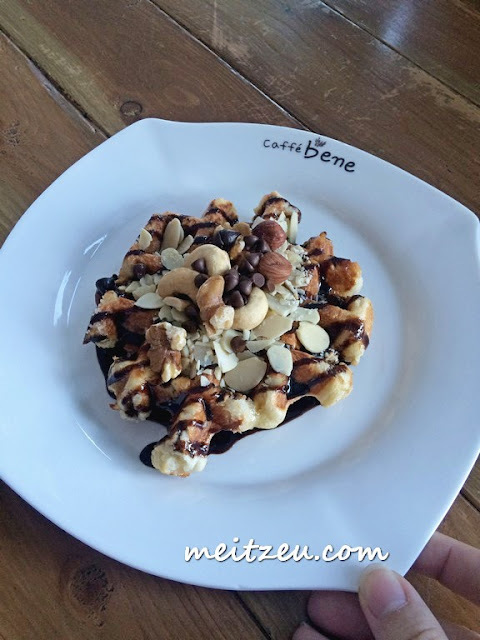 It is not easy to search for delicious waffles here and glad to say waffles by Caffe Bene is chewy with bits of crunchines in it! 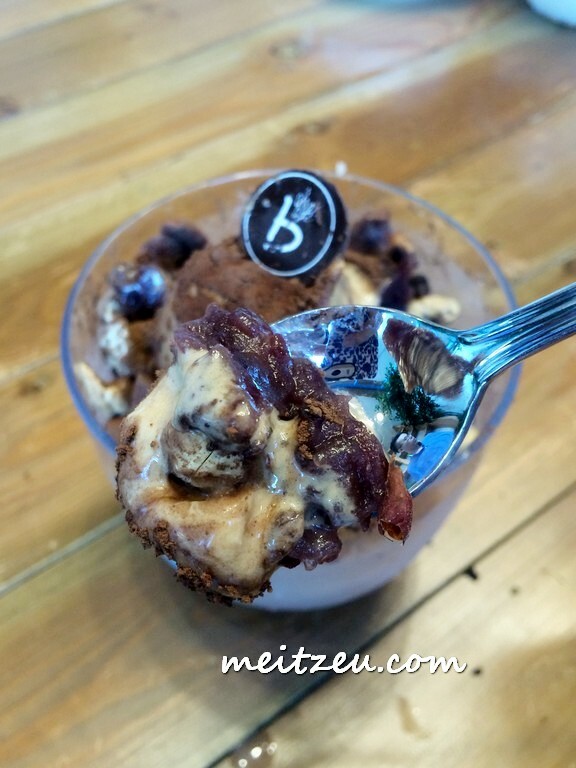 Topped with gelato/ ice cream, nuts and others, made it special. 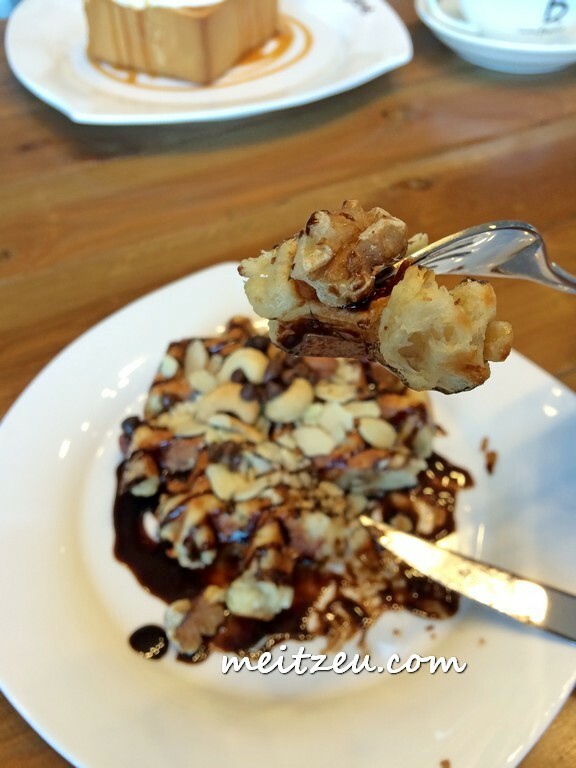 I have to say this, I always opt for coffee or desserts with caramel sauce! The taste of garlic was fine. A good selection during afternoon tea or snack. With selection of Green Tea, Vanilla and Cream Cheese ice cream. 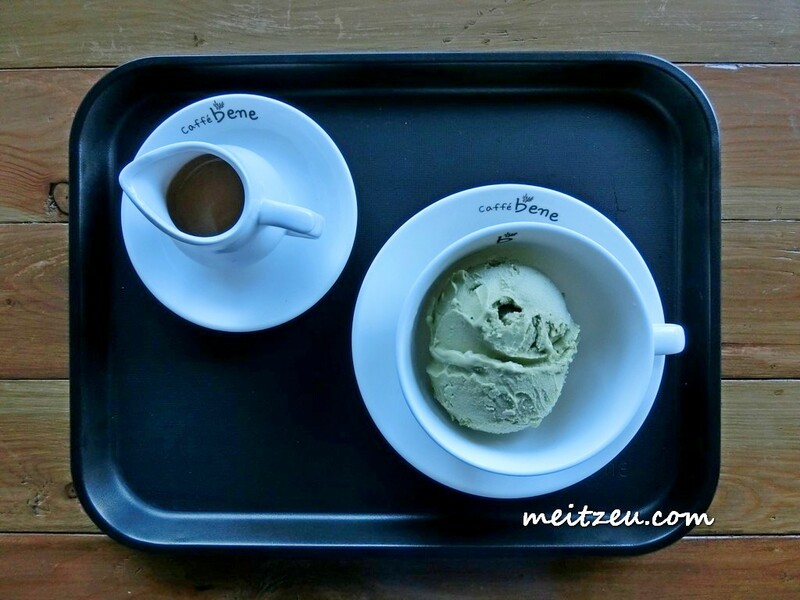 We had Green Tea and truly, their Green Tea ice cream was good! The smell just stay and melted in our mouth. 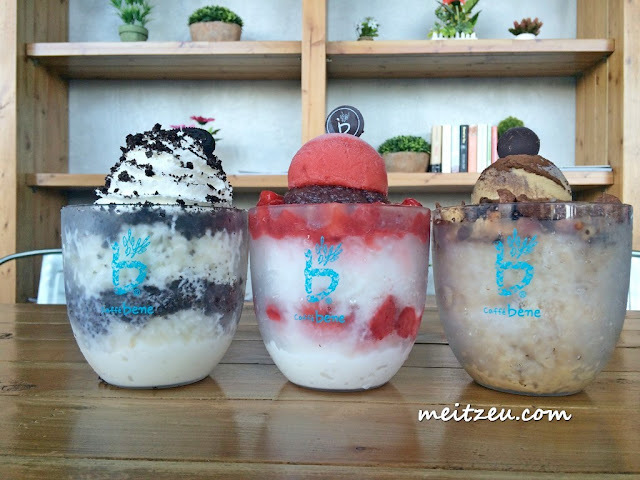 Cookies and Cream, Strawberry and Coffee Bingsu. All in (S) size for sharing of two person, while large one for a group of friends are advisable. Those Bingsu made us drooled. One of the good choice to have it during warm season recently. Belgian waffles comes with Tiramisu ice cream. 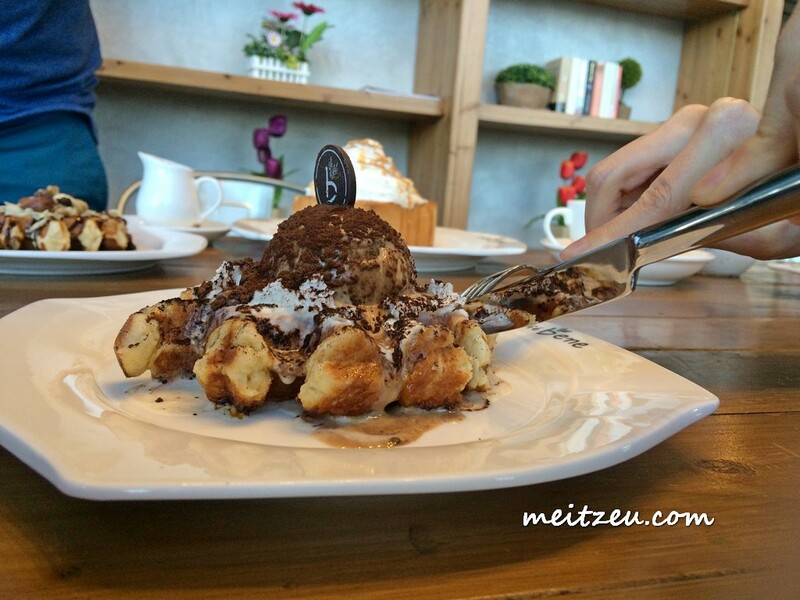 Can't regret with a good waffles with ice cream! 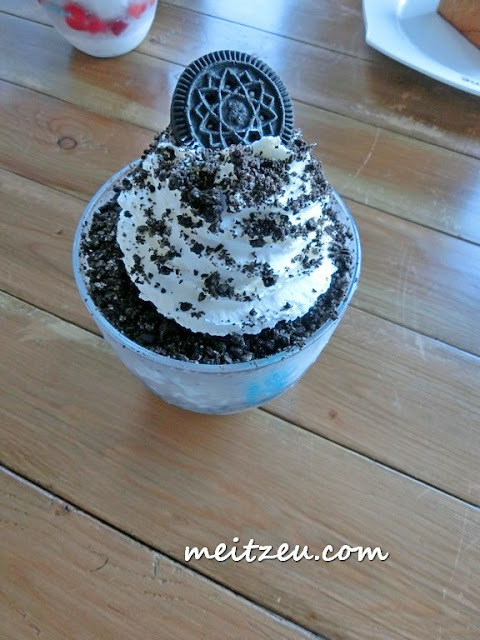 If son was there he will want the oreo ice cream.